We are now down to the Final Four in the Men’s Basketball tournament at the 2016 Olympic Games and only one of these teams will not take a medal home from Brazil. All of the teams involved know that they are here to the last day, which is a positive step but no one will want to be the team that suffers two defeats in their final two games. There went too many surprises in the quarter-final and there was only one game that went to the wire with respect to a close result. There were plenty of big moments though and we’ll review the quarter-final matches before looking towards the semi-finals. Australia took complete control of their game against Lithuania from the start and were never in any danger of losing the match. Patty Mills delivered 24 points in the win and the Australian are looking good for a shot at the title game. Lithuania were boosted by Mantas Kalnietis and Antanas Kavaliauskas both scoring 12 points but it wasn’t enough and their Olympics challenge is over. The game between Spain and France was being built up as a classic match that could go either way but Spain dominated the game and never allowed France to settle. For once, Pau Gasol wasn’t the main man for points in the Spanish side, Nikola Mirotić provided 23 points in the win. France got 14 points from Tony Parker but given the Spanish side took every quarter of the game, France were out of the running long before the end. The Americans were also dominant against Argentina and they’re still looking very confident about taking the Gold Medal in the tournament. Like Spain, the US took every quarter and Kevin Durant led the scoring charts with 27 points. For Argentina, Luis Scola provided 15 points in the defeat. The closest game of the day was the Balkan match between Croatia and Serbia. 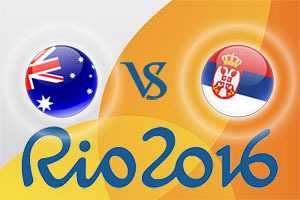 The second half featured two almighty quarters, with Serbia taking the third quarter 14-34 but in the final quarter, Croatia roared back with a 31-20 score line. This wasn’t enough to turn the tie back in their favour and Serbia held on for the win. Bojan Bogdanović was the main man for Croatia, providing 28 points in the defeat but the happier player will be Bogdan Bogdanović who provided 18 points for the winning team. The two semi-final games look set to be exciting affairs and every team will believe that they have a great chance of grabbing Olympic Gold. Some teams are better equipped for the challenge than others though. This game begins at 1930 BST on Friday 19th of August. The Spanish side have got their act together but you can’t see them winning this game. 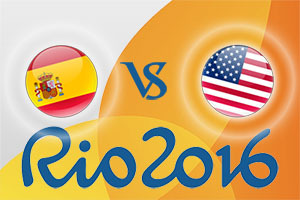 Spain have been the beaten finalists to the United States in the past two Olympic Games but this year, that fate will surely befall them in the semi-final. Spain have the players who can make this tight for the American side but in all honesty, it is surely a stick-on for a USA win. With that mind, take USA at -13.5, which is available at odds of 1.90. Anyone that is keen to place a bet on the Over/Under market will find that going OVER 184.5, which you can find at odds of 1.90, is a smart bet. Bet Now! In the Race to 20 Points, USA can be backed at 1.30 and for the USA half-time, USA full-time bet, the odds are 1.31. This game begins at 2300 BST on Friday 19th of August. This is likely to be a tight semi-final but the two teams have already played in Rio this summer, with Australia winning by 15 points. That was early on in the tournament, and a semi-final is always a tight and nervous affair but there is no reason why Australia cannot repeat their performance in this game. This means you should look to take Australia at -2.0, which is available at odds of 1.90. If you are looking for the Over/Under market, look to go OVER 164.5 which you can find at odds of 1.90. Bet Now! The Race to 20 Points bet in this game is also a close run thing and you can find Australia at odds of 1.74. When it comes to the half-time, full-time bet, look to take Serbia half-time, Australia full-time at odds of 6.50. With just four teams left in the tournament, there are not as many chances to bet on the outcome of the tournament but there are still options for basketball betting fans. As you would expect, there is no value to be found in backing the Americans at this stage but if you think there will be an upset, there is scope to back your beliefs and make some money. The Americans are still clear favourites to win the tournament outright, and can be backed at odds of 1.10. Spain are listed at 13.00, Australia can be backed at 17.00 and Serbia are classed at 19.00 with respect to winning the tournament. Removing the USA from the equation sees Australia classed as the favourite at 1.71, Serbia are found at 2.30 and Spain are ranked at 13.00. If you are looking for the odds on teams to win a medal, which basically means you are backing the team to win a minimum of one game from their last matches, you’ll find that USA can be backed at odds of 1.020. Spain are classed at 1.33 to take home a medal while Australia can be backed at 1.40. Serbia hold odds of 1.83 to take a medal from Rio this summer.